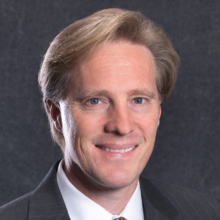 Eric Appel is a Director with KeyBanc Capital Markets, responsible for providing strategic advisory, capital markets, and corporate banking solutions to clients in the Southwest. KeyBanc Capital Markets focuses on companies in the consumer, energy, industrials, healthcare, basic materials, and real estate sectors. Eric’s prior experience includes originating large corporate and middle market loans for BBVA Compass, Bank of America Business Capital, and LaSalle Business Credit, with a focus on energy-related transactions. He earned his Bachelor of Business Administration degree from Texas A&M University.